Saturday, April 21 from 11:00 a.m. until 1:00 p.m. 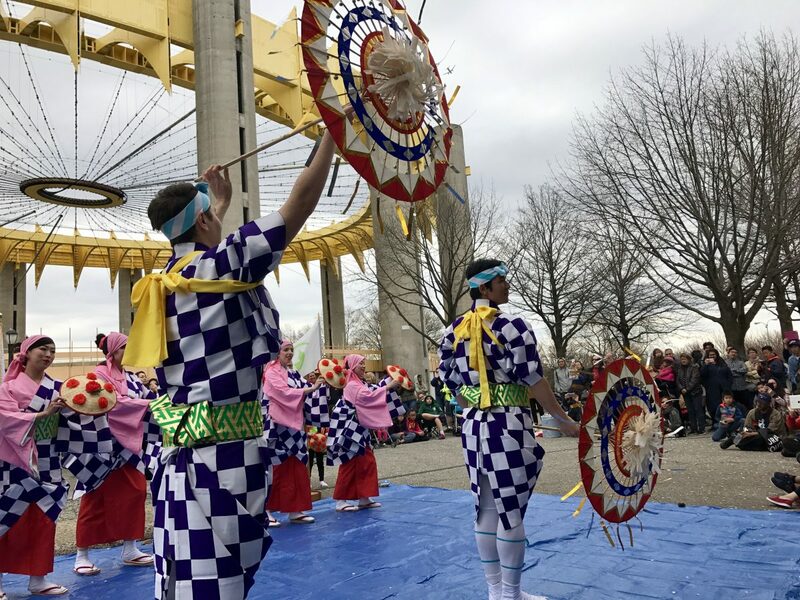 The Japanese American Association of New York will hold its 14th Sakura Matsuri at Flushing Meadows Corona Park on Saturday, April 21. The program begins at 11:00 a.m. rain or shine and features performances by taiko drumming group Soh Daiko, the Japanese Folk Dance Institute of New York, the JAA Chorus led by conductor Mari Takagi, the New York Okinawa Club with Jimpu-Kai New York, and the Tenrikyo Drum and Fife Corps. In addition, there will be a tea ceremony on the lawn by the Urasenke Tea Ceremony Society. Yours truly will serve as emcee. 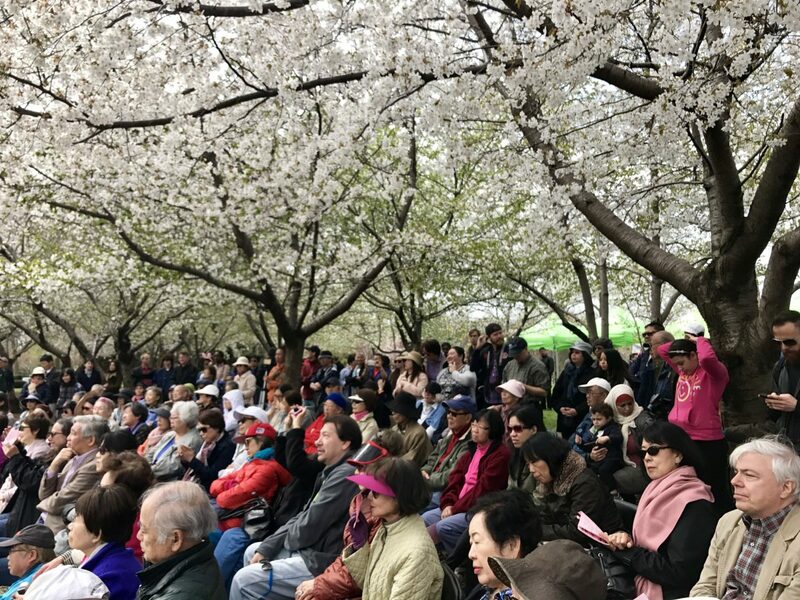 Symbolizing the friendship between Japan and the U.S., in 1912 Japan gave a gift of sakura trees the Washington, D.C., as well as 2,000 sakura trees to New York City, thirteen of which were planted in Claremont Park, now Sakura Park. JAA’s “21st Century New York Cherry Blossom Project” began on Arbor Day, April 24, 1992, at City Hall Park. Seeds donated by The Cherry Association of Japan were presented by then JAA President Shigeru Inagaki to Betsy Gotbaum, Commissioner of New York Parks. The seeds were nursed in the greenhouses of Van Cortlandt Park, and JAA volunteers planted 168 trees in a design created by the noted landscape artist Kan Domoto with George Yuzawa in 2001. Working in close cooperation with the Flushing Meadows Corona Park staff, JAA has donated and planted hundreds of sakura trees. This year a weeping cherry tree will be planted in honor of Council Member Daniel Dromm, who introduced legislation to establish January 30 as the Fred T. Korematsu Day of Civil Liberties and the Constitution in New York. Bring a blanket and a bento and enjoy the cherry blossoms! Disclosure: The author is a Vice President of JAA and chairs the Sakura Matsuri committee.